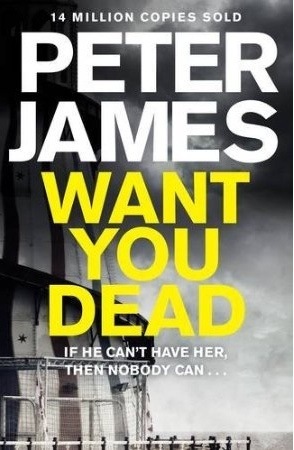 Want You Dead by Peter James. Read May 2014. “If he can’t have her then no-on can. Virtual romance becomes terrifying obsession in Want You Dead”. I’ve read so many great books already this year that it would be hard to pick a top ten, but Want You Dead is a new entry straight in the top three. This is the tenth book in the Roy Grace series which shows no signs of becoming stale. Against a backdrop of a story of unrelenting obsession we also catch up with the recurring characters in the series and their fascinating lives. The villain is a truly evil creation whose warped view of the world motivates him to carry out a series of disturbing crimes. Roy Grace and his team race against time to solve a case that will affect them all forever. There are momentous events too in Grace’s personal life – no details as I never include spoilers in my reviews. I thoroughly enjoyed this book and refused to put it down, reading most of it in one day which is highly unusual for me. Highly recommended. With thanks to the publisher and Netgalley for the advance review e-book. 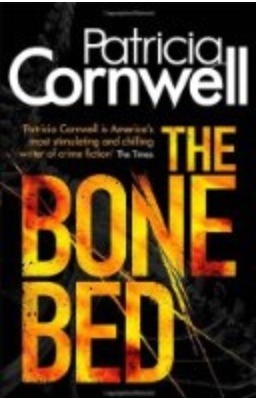 The Bone Bed by Patricia Cornwell. Read May 2014. I agree with this quote from the book blurb. The Bone Bed is the 20th in the Scarpetta series and in my opinion the previous few books had become a little stale and predictable. Here however Patricia Cornwell has revitalised her main character and injected new life into the series. The first part of the book sets the scene for later events in a way that Scarpetta fans will relish. There’s plenty of detailed description of the workings of the grisly side of law enforcement and the judicial process. There are several different strands to the plot that are brought together skilfully, and there’s a hint of soap opera with Scarpetta’s emotional life under the microscope. Having said all that I’m afraid reading a Scarpetta book is now like putting on a comfy old pair of slippers – I know what to expect and that’s exactly what I’ll get with few surprises. Is it time for a spin-off series starring Lucy? Recommended for die-hard Scarpetta fans (who will of course have read it by now). Sycamore Row by John Grisham. Read May 2014. 24 years after A Time To Kill, this sequel featuring lawyer Jake Brigance was published. 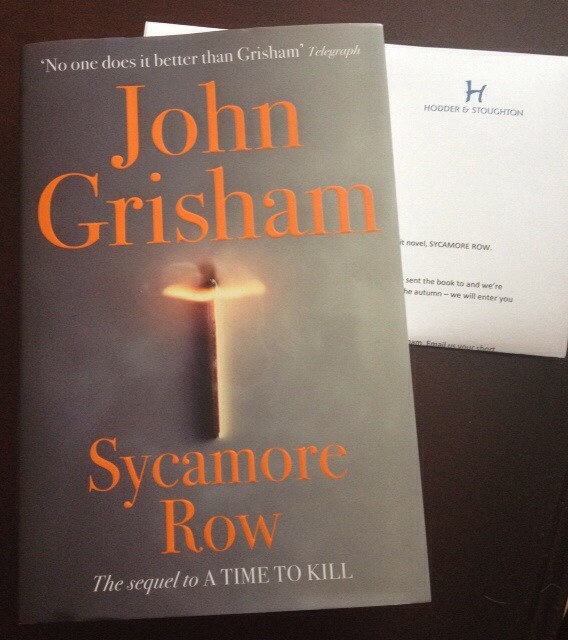 I’ve read most of John Grisham’s books (the next one on my wishlist is The Confession) and always enjoyed them as well written, gripping, drama-filled stories, and Sycamore Row is definitely up there with the best of them. I loved meeting up with Jake and his family again and wallowing in the atmosphere of a small town in the southern states. I hate spoilers in reviews so I’m not going to detail any of the plot twists. Suffice to say any fan of John Grisham will devour this book and for anyone new to the author I would suggest reading A Time to Kill first so that the references make sense, however I think this could be read and enjoyed as a standalone. Sleep Tight by Rachel Abbott. Read May 2014. Until a few months ago I hadn’t heard of Rachel Abbott. I became aware of her through Twitter and a recommendation from The Crime Book Club (@crimebookclub). Now that I’ve read all three of her Tom Douglas series books I am definitely a member of the Rachel Abbott fan club. Sleep Tight is a story of off-the-scale obsession leading to a terrifying situation for Olivia Brookes and her three children. The book is very well written and is an absorbing and exciting example of my favourite reading material, the psychological thriller. The various strands of the complex plot are knitted together very cleverly. One of the things I enjoyed most was the level of detail in every part of the story, allowing the reader to feel sure that all the loose ends would be dealt with eventually. 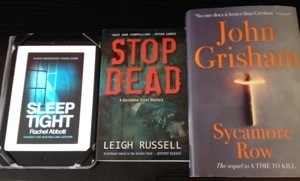 I am a big fan of crime fiction series, especially like this one, with a strong set of recurring characters. I always read series in order and would again recommend doing this with the Tom Douglas series. I think if you were to read them out of chronological order you would miss out in the interesting back stories that explain the characters’ actions. 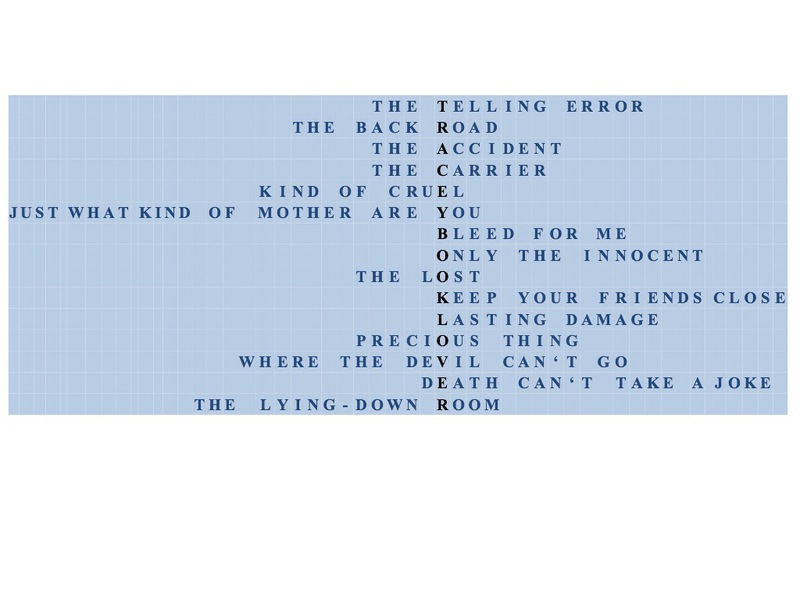 Therefore I strongly suggest you read Only The Innocent & The Back Road before Sleep Tight. With thanks to the author for providing the e-book for review. 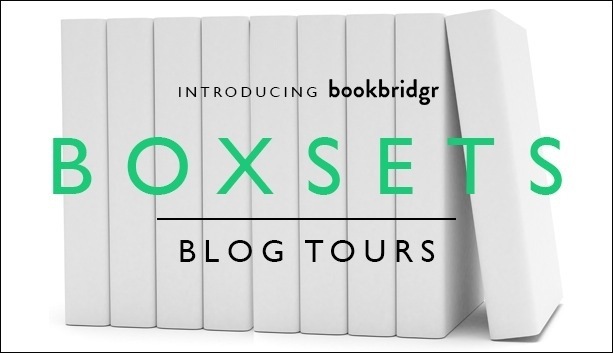 It’s several years since I read a book in the Alex Delaware series by Jonathan Kellerman, and this box set blog tour has given me the chance to get reacquainted. Now I’m asking myself how I ever lost touch with psychologist Alex and his cast of supporting characters. The books are all fast paced and action led and it’s easy to lose yourself in the seedy underworld of Los Angeles for hours at a time. 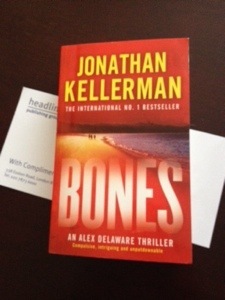 Bones has all you can ask for from a thriller and is an absorbing and intriguing read. It could be read as a standalone book but I would recommend reading the series in order so that the recurring characters’ back stories make sense. Jonathan Kellerman had rightly gained a reputation as one of the best thriller writers of our time and I recommend his books to all crime fiction fans. 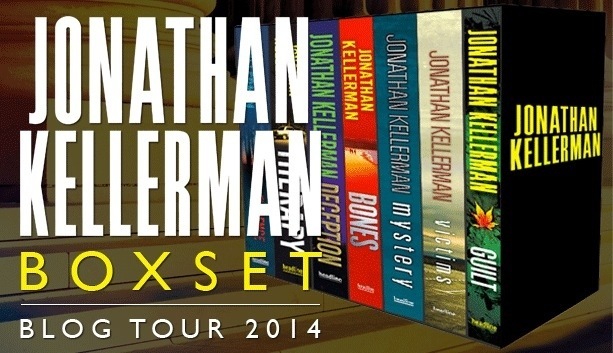 The publisher, Headline, has provided a copy of Jonathan Kellerman’s latest book Killer as a prize – to be in with a chance of winning please leave a comment in the ‘leave a reply’ box below, telling me which author’s book series you would like to see released as a box set. Closes at 23.59 BST on 13/5/2014. UK & ROI only. Winner’s details will be shared with the publisher for delivery purposes. 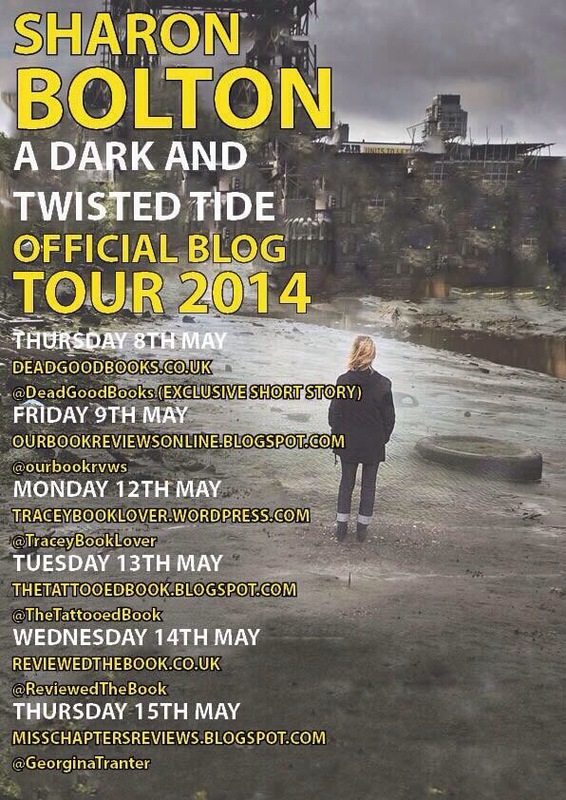 On 8th May A Dark And Twisted Tide, the latest in the Lacey Flint series by Sharon Bolton, was published. One of the things I enjoy about the Lacey Flint books is the depth of research that has gone into them – can you tell us a bit about your research for A Dark And Twisted Tide? My latest novel features women being trafficked from South East Asia for a purpose not disclosed until quite late in the book. The stories they tell are all based on the lives of real women from that part of the world; nearly all of them harrowing, but not the worst I came across by any means. As usual, I did quite a lot of medical research too, but to talk about that would involve some massive spoilers. 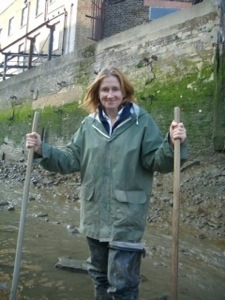 Possibly the best fun I had, though, was finding out all about Deptford Creek, one of the largest urban tributaries of the river Thames. 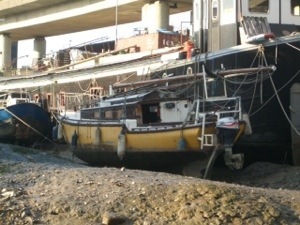 Its history dates back to the time of Henry V111, when it was the site of the royal dockyard, and although it’s played a major role in commercial London ever since, it’s largely been forgotten in recent times. It’s a hidden-away, desolate but strangely beautiful place and one well worth a visit, but only as part of the guided walks. The mud is deep and the tide comes in fast and strong. Do you already have in mind what will happen to Lacey, Joesbury etc in future books, or do you plot the character development for each story as you come to it? Generally, I take each story as it comes. My characters are like toys in a box. They don’t exist until I pull them out and start to play. I’m not planning to write any more Lacey books for a while, so I guess I’ll be storing that box in the attic for the foreseeable future. Do you have any plans for more standalone books? Absolutely. I’m just finishing off my eighth book, which is most definitely a stand alone. (Famous last words) It’s a bit of a new departure for me: character rather than action led, and set in a very distant part of the world. Can you describe how you feel when you see your books “in the wild” and has this diminished since your first book was published? I’m very much a glass-half-empty person. I see a shop without my books and get cross that they’re not stocking my stuff. On the other hand, if there is stock, I worry that it hasn’t sold. (My husband and son are a complete embarrassment in bookshops, continually rearranging the shelves so that my books are most prominent.) What I am very much looking forward to, I admit, is seeing a stranger reading one of my books for the first time. Filing my nails, making tea, talking to the dog, fantasizing about clothes I have no opportunity to wear, taking naps, checking emails, lurking on Twitter, feeling guilty for not exercising, insulting family members on Facebook, eating chocolate, opening the fridge door, closing it again, dead-heading orchids … you really want me to go on with this? Best 3 books you’ve read in the past 12 months? 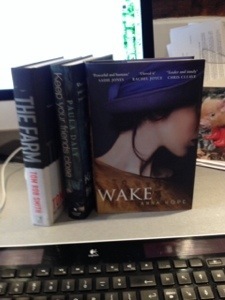 3 books you’d take with you if you were being whisked away on a surprise holiday tomorrow? 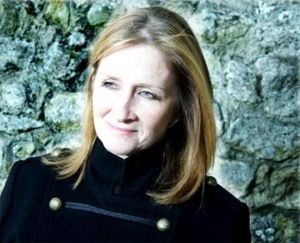 A big “Thank You” to Sharon for taking the time to answer those questions. My mini-review of A Dark And Twisted Tide can be found here. The Back Road by Rachel Abbott. Read May 2014. This is the second book in the Tom Douglas series and finds Tom between jobs having relocated to the north west to be near his daughter. It isn’t long before Tom’s detection instincts are put to good use as he is drawn into a mystery surrounding a hit and run accident. The author gathers together a cast of characters, suspects and settings like a modern day Agatha Christie mystery. I enjoyed the intricate weaving of plots with a level of detail and background research that underpinned an interesting story. The locations also grabbed my interest as I grew up in the south Manchester area and there was even a scene in the John Lewis store where I spent many happy hours in years gone by. Rachel Abbott is now on my list of authors who guarantee an absorbing and satisfying read and I’m looking forward to the next instalment, Sleep Tight, in the very near future. This post sets out my goals for the Bout of Books 10 Readathon and my daily progress updates. I will be reading all week but the time available will be dependent on appointments and family commitments and so must be flexible. I usually read about 1 or 2 books per week. For the readathon week I am aiming to read at least 3 and possibly 4 books. 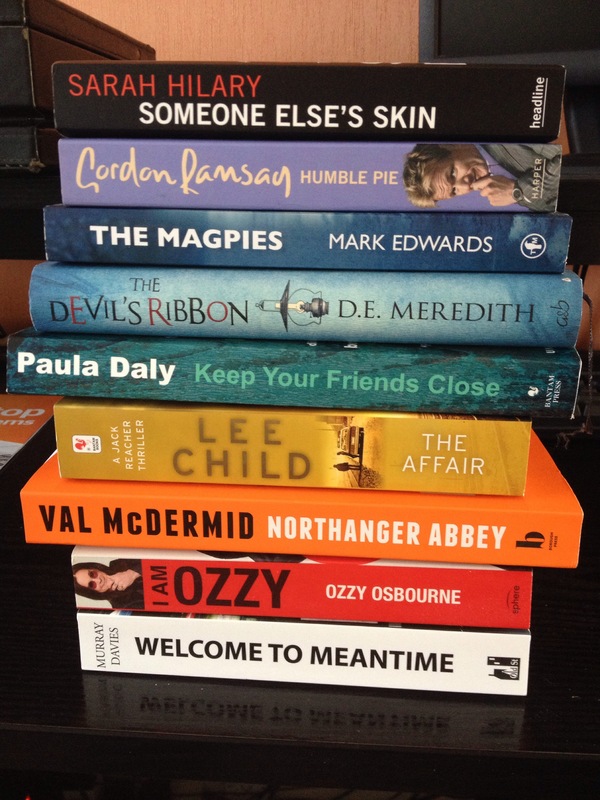 Posted a comment for the ‘Like X, then try Y’ challenge (If you like crime fiction series try the Lacey Flint books by Sharon Bolton starting with Now You See Me). Entered the challenge – This Makes Me Think Of That: I’m currently reading Sleep Tight by Rachel Abbott and this made me think of Gone Girl by Gillian Flynn. I can’t explain fully without spoilers so I’ll just say both books involve missing people where there’s more going on than meets the eye. I’m currently reading Sycamore Row by John Grisham which is the sequel to a book he wrote many years ago called A Time To Kill. I’d rename my current read A Time To Reap because it comes from the same biblical quote as the original and is about people getting their just desserts. I read 3 books (only completed 1 full book, the other 2 were part read). Only 2 of the books were on my planned list. I enjoyed the week & entered at least 1 challenge each day. I’m going to carry on setting reading targets with other book lovers on Twitter to keep us focused on getting through the TBR pile. I’m going to join in again in August.